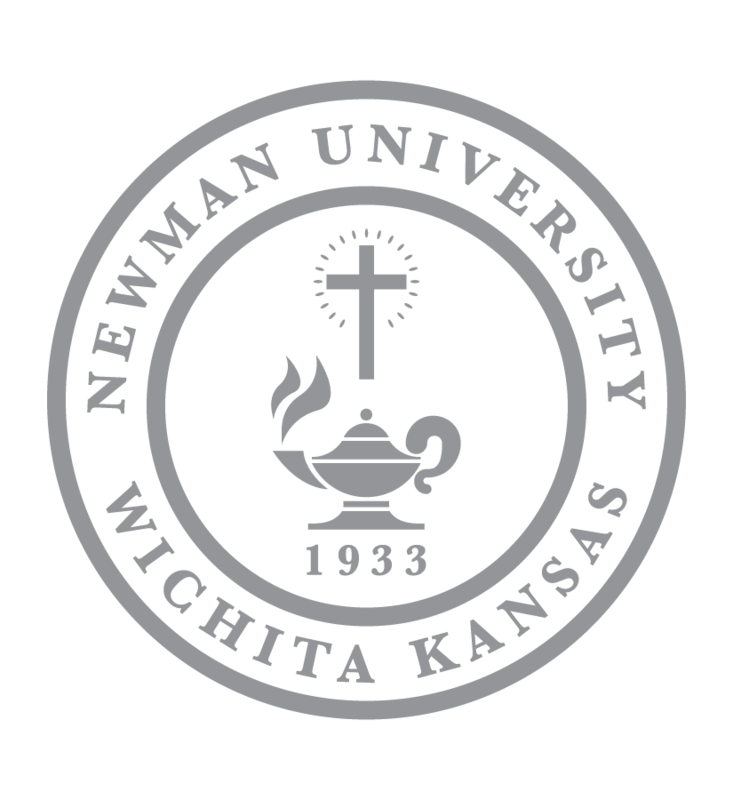 On May 5, more than 120 Newman University senior students showed the Newman community the best of their research, scholarly and artistic work at the Spring 2017 Scholars Day. The day allows graduating students to present a major project that encompasses years of study in their field, and receive feedback from faculty and other assessors. Each student must identify a faculty mentor, who agrees to approve and guide the student through research that reflects the student’s major field of study and personal interest. 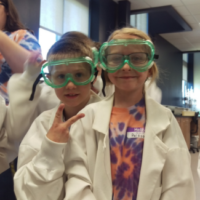 Students may collaborate on projects. Presentation of the capstone project may take a variety of forms, including formal academic panels, posters, creative readings or exhibits, demonstrations, PowerPoint presentations, video compilations or other means. Many students presented their work with posters and presentations in Eck Hall. 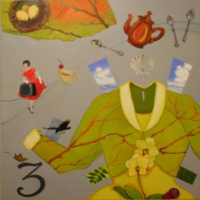 Fine Arts students’ portfolio work and presentations were presented in the De Mattias Fine Arts Center. 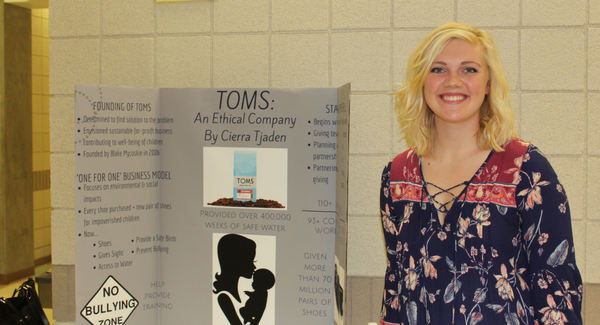 Several students presented or had already presented their work at various locations off-campus. Nancy Dahlinger, MSEd, assistant professor of occupational therapy was the chair of this semester’s Scholar Day. The Spring 2017 Scholars Day included about 70 poster displays, more than 35 presentations and 20 performances centered around healthcare, communications, theology and more. Senior nursing students Sarah Poe (left), Tara Greiving and Britney Wimberly (right). 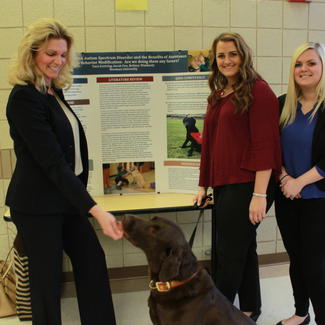 Senior nursing major Tara Greiving said her project focused on dogs helping children with autism. “The dogs are expensive, 15-thousand to 20-thousand dollars. They start them when they are eight weeks old and the training takes 18 months to two years,” Greiving said. 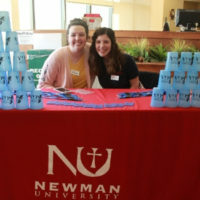 Senior business majors Juan Ramirez and Haley Williams teamed up on a project to research genetically modified organisms, or GMO, and addressing hunger issues in Africa. 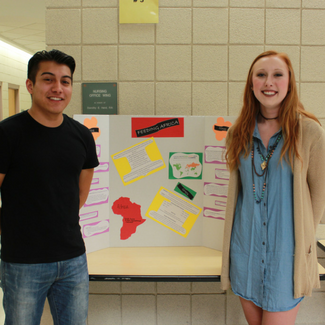 Juan Ramirez and Haley Williams did research on Feeding Africa. 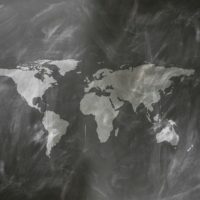 “The reason we chose this is the fact Africa is one of the largest continents but it’s also the most underdeveloped and poorest,” Ramirez said. “It was interesting because all the things you see in the news…is GMO’s are bad but that’s not really true. It was interesting to get the full picture instead of just a brief snippet,” Williams said. Ramirez said he discovered that Monsanto owns a huge share of the sustainable agriculture market but believes the company plays a role in helping African farmers. “What they do for the farmer, that is improving the GMO process, is they are providing the education and their data to help crops that become more efficient and resistant to climate change or pesticides,” Ramirez said. Music Therapy in the Depressed Geriatric Population. 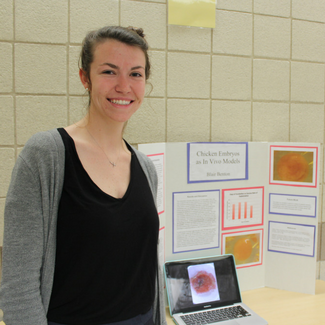 Senior Blair Benton project was titled Chicken embryos as in vivo models. The essence of Scholars Day could be captured by the quote which appeared in the May 2017 program schedule.